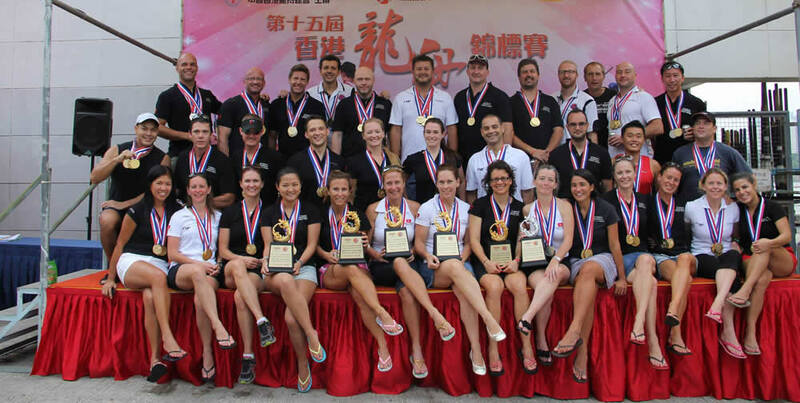 Stormy Dragons got off to a staggering start for the first day of the Hong Kong Dragon Boat Championships, which were also the qualifying races for next year’s CCWC in Italy. Some of our paddlers ended up wearing 5 medals. No reports yet of neck strain. Tomorrow sees us compete in the 200m and 2km races. Simply put, we want more bling. And then we want beer.